Hockey can be a complicated game. Once you delve into systems and tactics, seedings and scratches, you uncover a whole world of complexity beyond what you see on a game night. But, sometimes, it couldn’t be more simple. 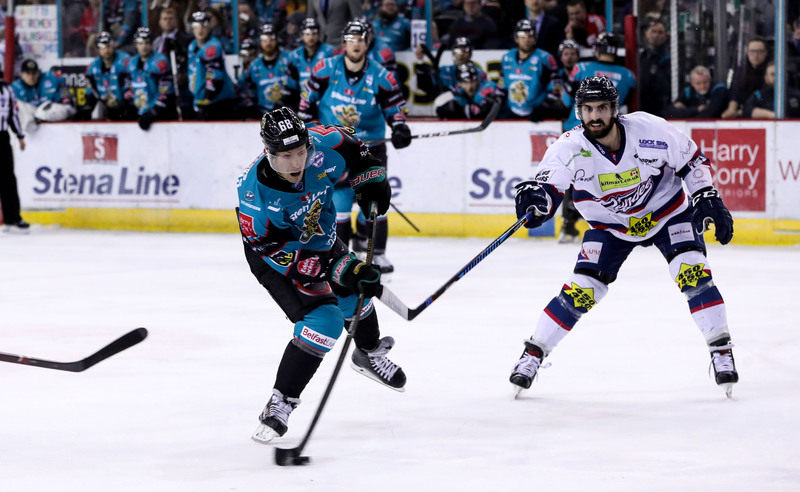 The Belfast Giants needed to defeat the Dundee Stars Saturday night to keep any hopes of a league title alive. Meanwhile, the Cardiff Devils were getting underway at home against the Milton Keynes Lightning in a game which would have tremendous significance across the Irish Sea. 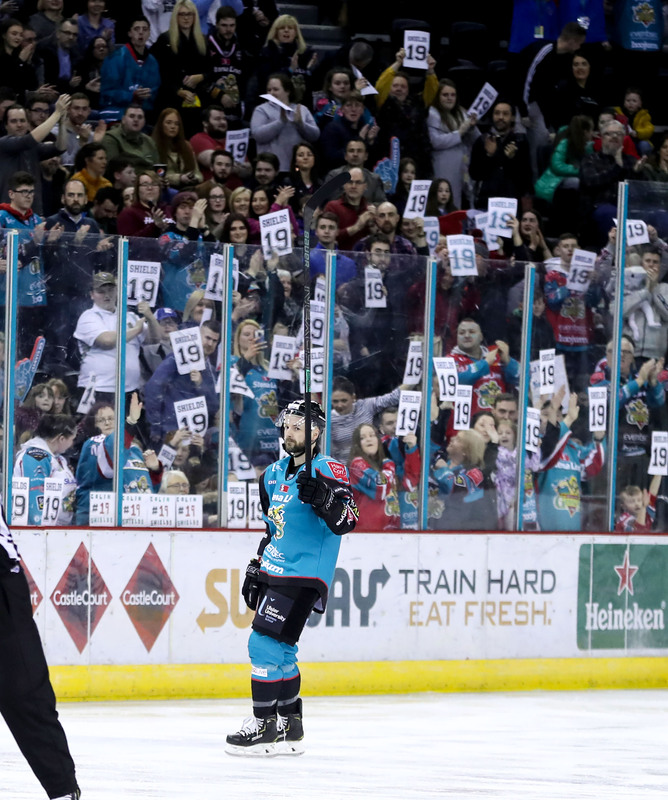 Tonight was also the final regular season game for Belfast Giants legend Colin Shields, and the arena was awash with large white paper sheets bearing the great one’s name and number- an impressive collaborative effort between various groups of fans and partners. As the clock showed 19:00 in the first period the arena paused, stood and hailed an all time great. Colin Shields left the Belfast bench to acknowledge one of the most spine tingling ovations you’re likely to hear in the SSE arena. And he deserved every second of it. 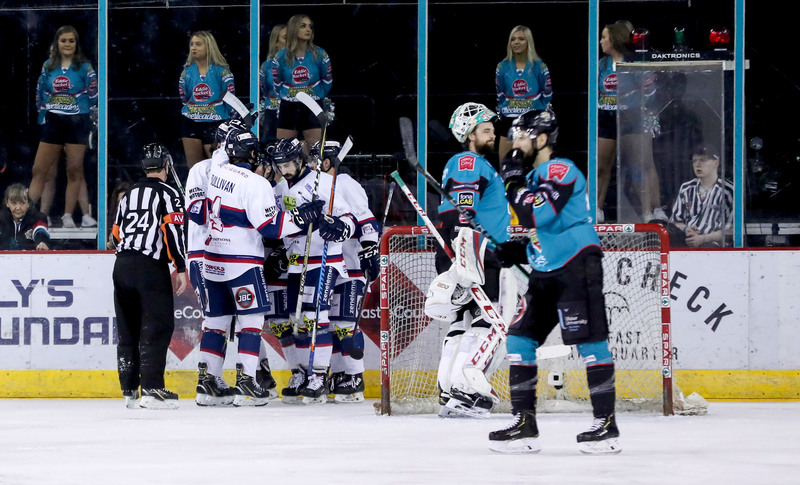 The Giants killed off a 2 minute Paul Swindlehurst penalty, but the Stars surged. Mark Garside headed to the penalty box for holding at 28.26, and despite a couple of heart stopping moments the Giants kill unit took care of business. 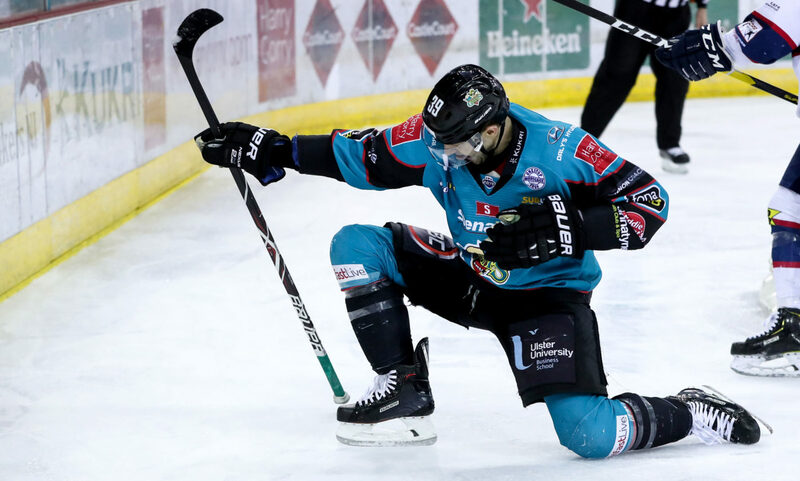 Belfast returned to the power play at 30.41 following a Petr Chaloupka interference call, but a Tyler Beskorowany error out towards his own blueline almost led to a short handed equaliser. He did a solid job of taking away the angle before gloving a follow up shot. Jim Vandermeer cancelled out the power play with an interference call of his own at 32.00, handing Dundee 1.14 with a man advantage which was killed. Back and forth penalties continued in a scrappy second period as Shaun Boutin sat for holding Jordan Smotherman’s stick at 35.20- to no avail on the part of the giants PP unit. 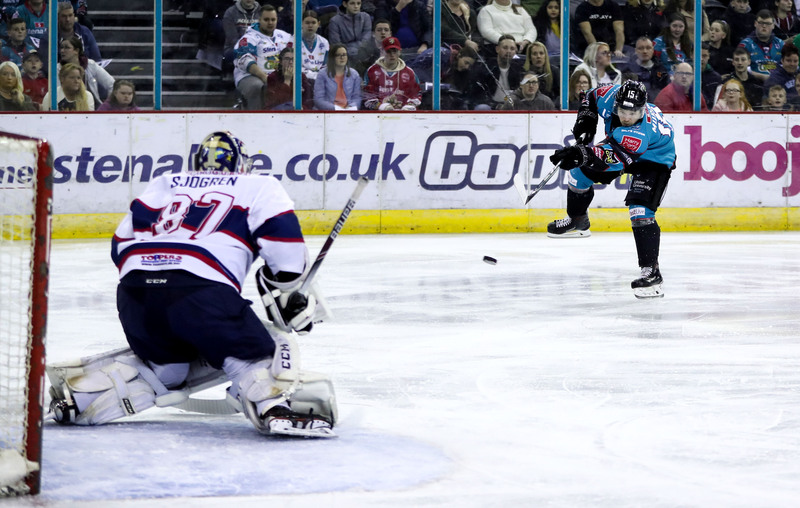 Belfast opened a must win third period on the power play as Shaun Boutin was called for hooking. but their special teams frustrations continued. 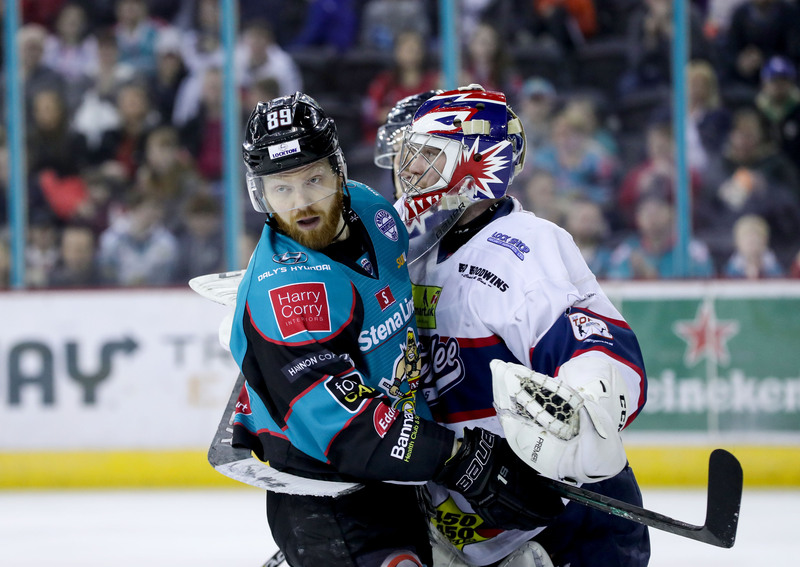 Curtis Leonard sat for hooking at 51.16, but the Giants kill unit stood tall aside from one nerve shredding moment when the puck rang Beskorowany’s right post. Omar Pacha called a time out with 1.48 left in the game, and with 1.10 in the game Pontus Sjogren headed for the bench. Dundee’s extra skater advantage didn’t last long though, as they headed onto the power play with 49 seconds remaining (Marquardt). 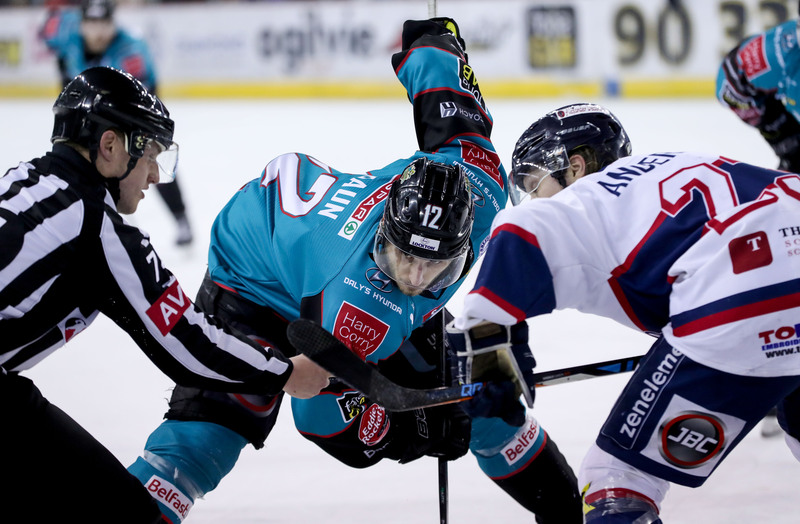 The seconds ticked away and the Belfast Giants iced the game with an empty netter from Kyle Baun to a roof-rattling roar from the Teal Army. Curtain down on the 2018-2019 regular season. If it’s not in your hands, you can only hope to force the opposition’s hand.